Holy Asteroid Batman! Jupiter’s Been Hit. 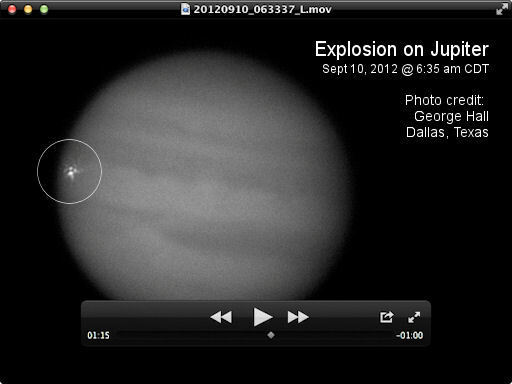 On Sept. 10 Jupiter appears to have been hit by a considerable block of space junk. The impact resulted in a huge fireball, visible to amateur astronomers around the globe.Jupiter is frequently bombarded by asteroids and comets as it lives close to the asteroid belt and packs many times more gravitational pull than earth. Scientists are watching to see if any “space debris” follows.